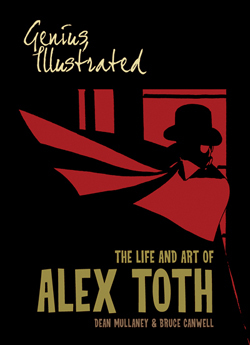 "Genius, Illustrated: The Life and Art of Alex Toth" nominated for two Eisner Awards. Official Alex Toth website : News : "Genius, Illustrated: The Life and Art of Alex Toth" nominated for two Eisner Awards. Dean Mullaney and Bruce Canwell's "Genius, Illustrated: The Life and Art of Alex Toth." is nominated for two 2014 Eisner Awards. The book is nominated for both "Best Comics-Related Book" and "Best Publication Design". Congratulations to Bruce and Dean on their nomination. The winner of the Eisner awards will be presented at the 2014 San Dego Comic-Con.